Australian Jack Bobridge, who holds the individual pursuit world record, will attempt to break the Hour Record mark in 2015. The record stands at 51.852 kilometres, which Austrian Matthias Brändle of team IAM Cycling set on October 30. 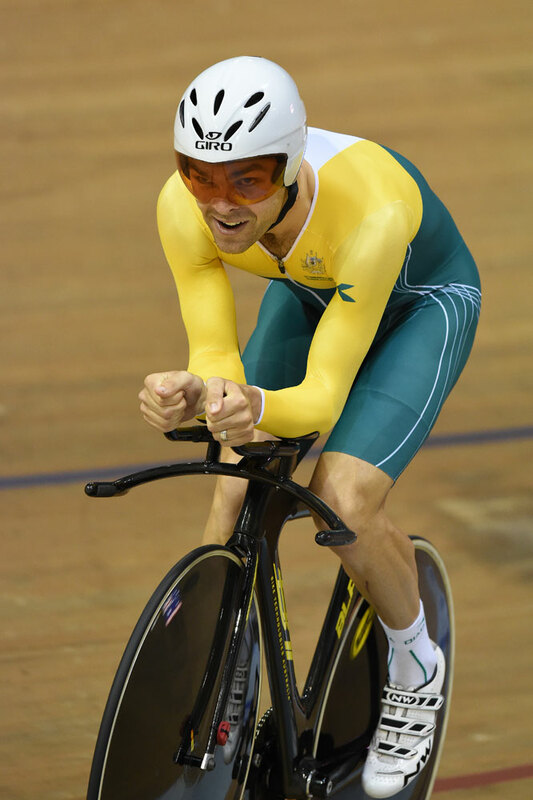 Bobridge won the national individual pursuit championship title in 2011 with a time of four minutes, 10.53 seconds. In the process, he beat Chris Boardman’s time and set a new world record. The 25-year-old from Adelaide won the individual pursuit gold medal and helped Australia to gold at the 2014 Commonwealth Games. He also took gold in the 2010 Commonwealth Games and 2011 World Championships, where he helped Australia to team pursuit victory. At the 2012 London Games, his Australian team placed second to Great Britain. After winning the Under 23 time trial and racing for professional teams Garmin, Orica-GreenEdge and Belkin, Bobridge is returning to the track. This winter he left team Belkin for Australian third division team, Budget Forklifts. The team will help Bobridge build for the Hour Record and the team pursuit at 2016 Rio Olympics. Budget Forklifts announced Bobridge’s attempt this morning and explained that it would reveal more details at a press conference tomorrow. Sky’s Bradley Wiggins said that he will attempt the Hour Record in June or July. Others are not waiting to make their mark after the UCI changed the rules. The governing body’s rule change on May 15 allowed pursuit bikes and annulled its 2000 rule that required cyclists use traditional bikes in the Eddy Merckx position. German Jens Voigt (Trek Factory Racing) was the first to try and to set a new record under the new rules, going 51.110 kilometres on September 18. Brit Alex Dowsett (Movistar) is reportedly planning to attempt the Hour Record at the Revolution Series round in London, February 27 to 28. His team could announce it at a planned press conference on Friday in London. Others – Dutchman Thomas Dekker, Dane Alex Rasmussen and American Taylor Phinney – have also shown interest in setting the Hour Record.